As we launch BibleStoryBoards out into the world, we are using it at Bridges Community Church to work our way through the Bible. 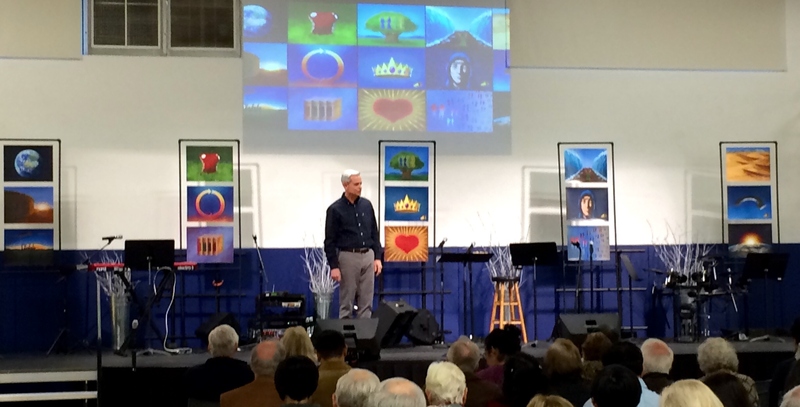 Yesterday the entire church began a three-week focus on the 15 StoryBoards – four the first Sunday, six the second Sunday, and five the third Sunday. Between Sundays our blogs will highlight one StoryBoard each day, from the previous Sunday’s lesson. Whether you are at Bridges or not, we invite you to join us for this journey. If you attend Bridges, these daily blogs will simply compliment what you are learning on Sunday in the worship services and classes. We encourage you to review the StoryBoard that corresponds with each blog post so by the end of the three weeks you’ll be ready to use the pictures to share the amazing story of God’s love for us with others. If you don’t attend Bridges, you are welcome to follow along with our blogs. By using the website, IOS app, or book you can study the main storyline that goes along with each picture on your own. The website will give you the simple storyline while the app and book provide a more detailed “Digging Deeper” storyline for each picture. And for the month of January the app is free! So get ready for an exciting journey as we study through the Bible using 15 simple pictures. Tomorrow’s blog will focus on StoryBoard 1, which is where the story begins.